At Hostel Acuarela you will find a shared kitchen. 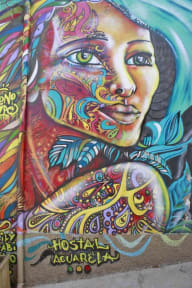 Watercolor is a three-story house with murals on the walls. We have shared and private rooms, including a rich and nutritious breakfast. We have free WiFi, laundry, Aeroport tranfer service, towels, luggage and touristic information. 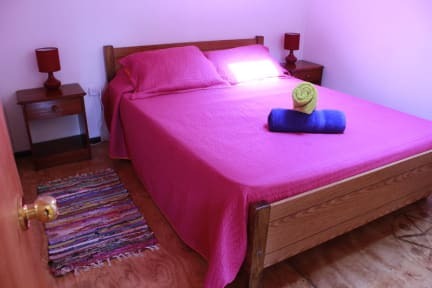 Hostel Acuarela is located in Valparaíso, 1 km from the city centre and a 10-minute drive from San Mateo, Torpederas and Portales beaches. Santiago international airport to 2 hours driving. All rooms feature shared bathroom facilities.Shared bathroom and free WiFi is available in all rooms.